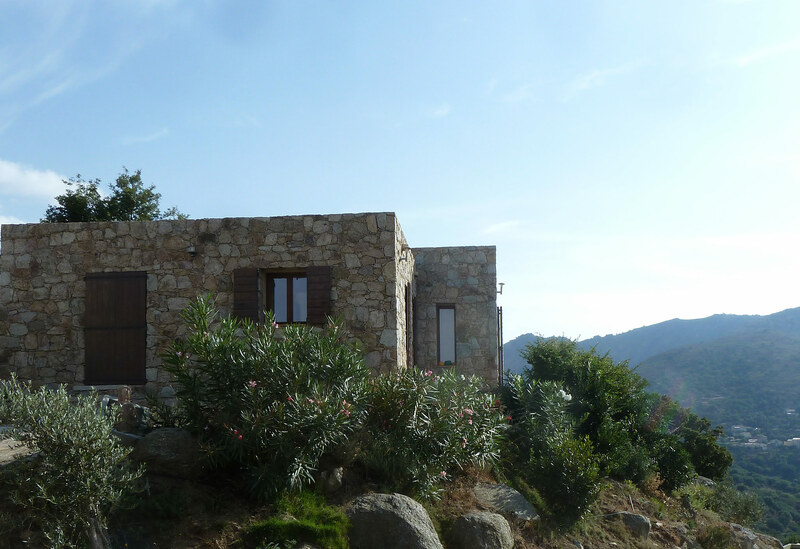 The villa can very comfortably accommodate up to 6 guests. It has 2 bedrooms. 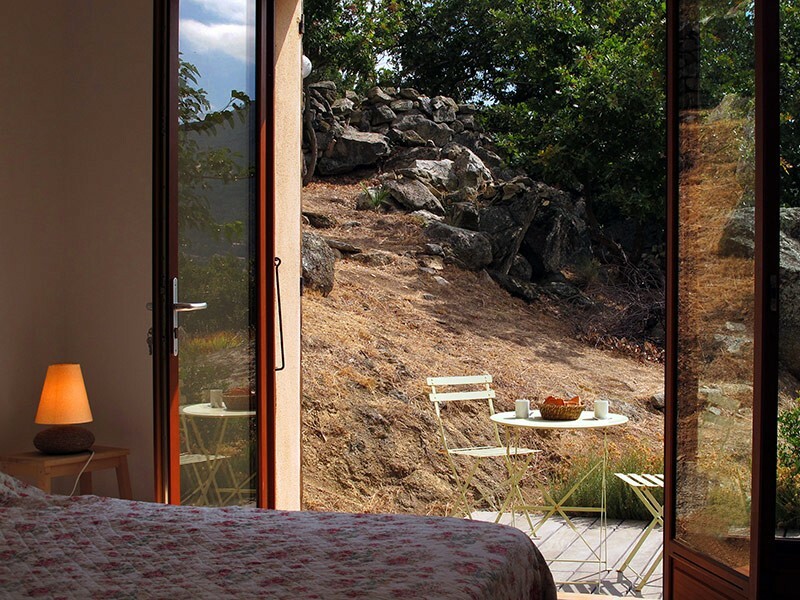 All the rooms have their independent showerrooms and are equipped with modern amenities. Most of the house has WIFI internet access. You will also love the large wooden terrace in front of the house. 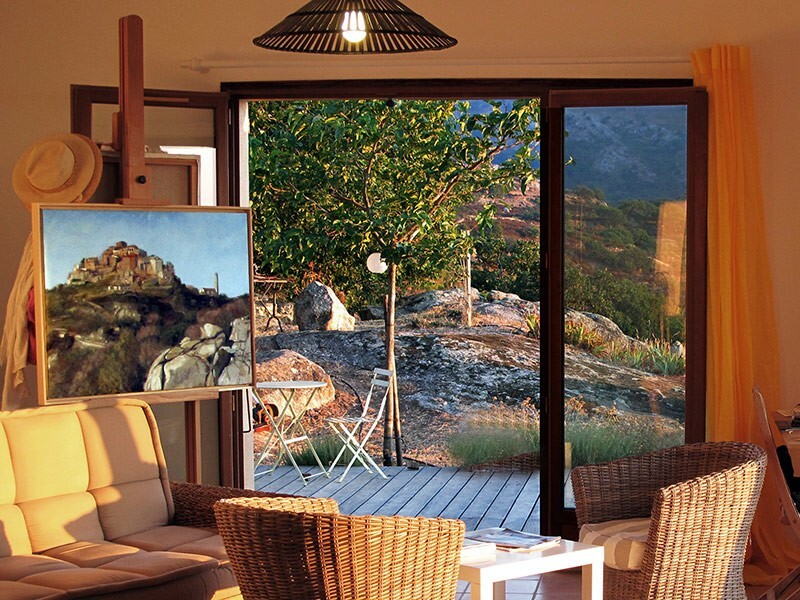 A swimming pool nestles amongst granite boulders and trees and takes advantage of wonderful sea, mountain and villages' views across the Balagne. 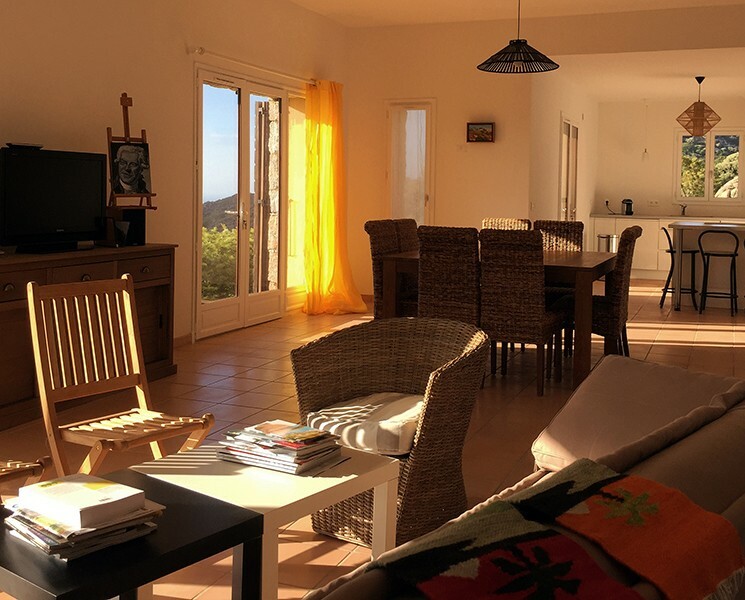 The villa is truly magical and is an ideal place to discover the beauty of La Balagne and other main attractions of Corsica such as L'Ile-Rousse and its market, Calvi and its night life. Upon arrival at Casile Petru Santu, we kindly ask you to acquaint yourselves with the pool’s safety and hygiene rules. Children must be supervised at all times. 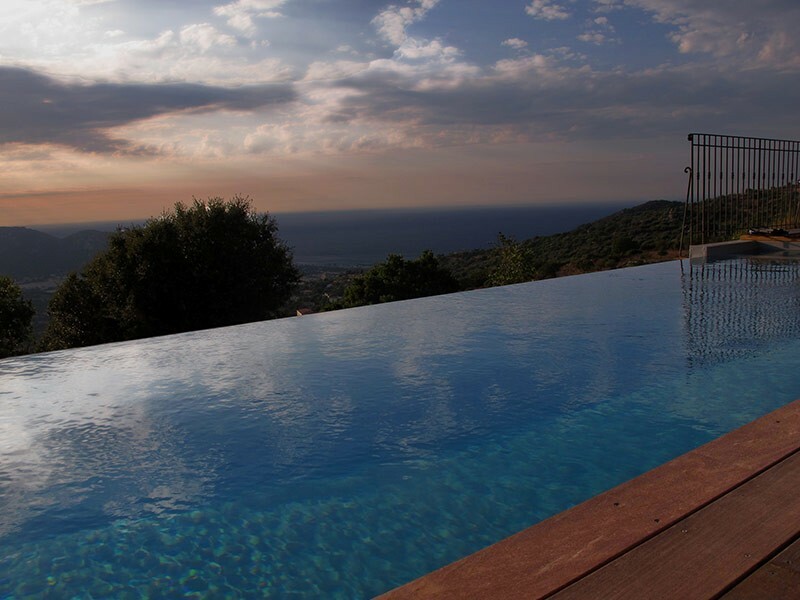 An ‘infinity pool’ has an exposed pool edge with an unprotected drop. This maximizes views and is an attractive feature of the pool. We recommend that children are supervised and that you do not sit, lean or walk on the unprotected edge. The property is considered unsuitable for young children. Pool is freshwater and unheated. Dates when pool is operational are subject to the prevailing weather conditions at the time of opening and closing and we cannot be held responsible if poor weather means the pool is opened later, or is closed earlier in the season. Pool heating is a service that can be provided on a weekly basis. The cost is 150€ per week. As a general rule pool heating will only bring the pool temperature up by approximately 10 degrees higher than the night time temperature. As such in early or late season you may still consider the pool temperature to be too cold despite heating. We regret that should this be the case we cannot refund monies paid for this facility.